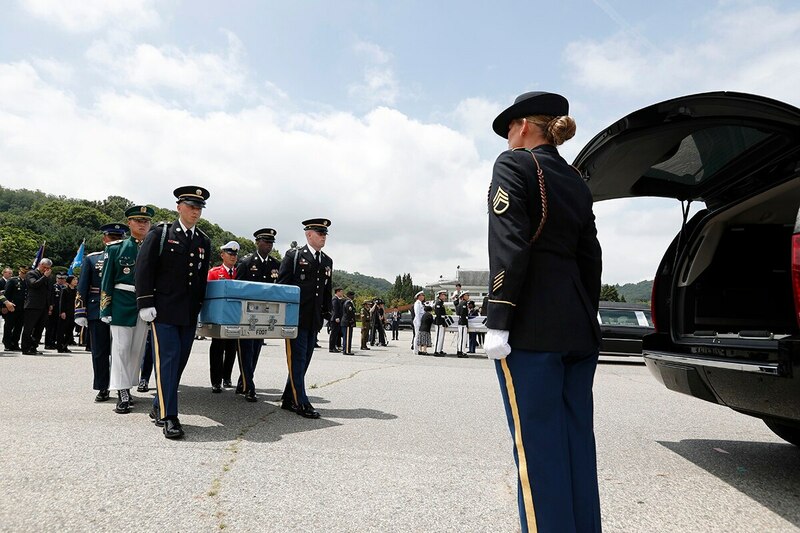 SEOUL, South Korea — The United States and South Korea held a ceremony on Friday to return home the remains of two servicemen killed during the 1950-53 Korean War. 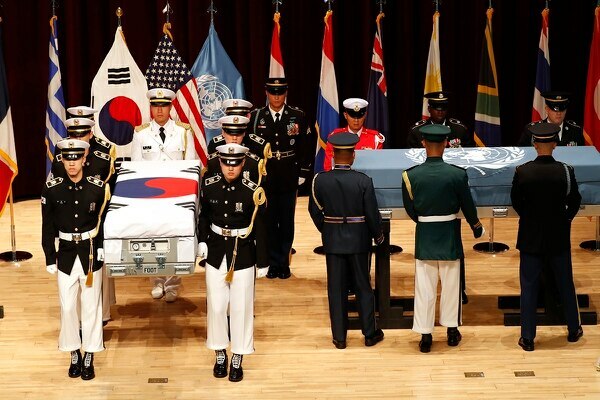 Seoul's Defense Ministry said the remains of an unidentified allied soldier, presumably American, found in South Korea in 2016, will be sent to the United States. Meanwhile, the U.S. military has brought to Seoul the remains of a South Korean soldier found in North Korea in 2001 during a joint search between the United States and North Korea. Friday's ceremony in Seoul was attended by U.S. Forces Korea Commander Vincent Brooks, South Korea's Defense Minister Song Young-moo and relatives of South Korean soldier Yun Gyeong-hyeok, who received his remains. The ceremony came a day after talks between the United States and North Korea over the return of U.S. war remains were postponed. Seoul’s Foreign Ministry says the North requested talks at a higher level. President Donald Trump voiced confidence Monday that North Korea’s leader would “honor” his commitment to denuclearize, despite Pyongyang’s accusation that the U.S. is making “gangster-like” demands in negotiations. The United States sent a DNA sample of the South Korean soldier's remains earlier this year that confirmed him as Yun. Seoul’s Defense Ministry said the allies are currently trying to identify some 180 sets of remains, some of which are presumed to be South Korean soldiers.